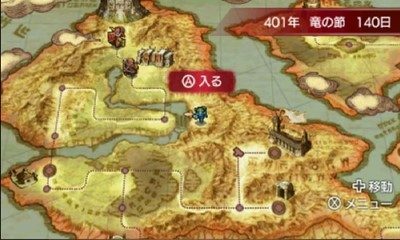 This page introduces the recommended method on How to raise Alm in Fire Emblem Echoes: Shadows of Valentia. It includes the hidden map and method on how to train Alm efficiently. We will be updating this as we go along. This article introduces the recommended method on How to raise Alm in Fire Emblem Echoes: Shadows of Valentia. It includes the hidden map and method on how to train Alm efficiently. Towards the end of Chapter 4, you can find a horde of Entombed, the mummified remains, which give high Experience when defeated residing in the Secret Spot Place. Apart from High Experience, they spawn at a high rate which makes the site a reasonable area for raising levels. To enter the Secret Spot Place, head to the area with the Mila Statue then locate the Entombed inside. Switch maps then repeat. The Secret Spot Place is found near Rigel Valley. From the overview, it appears as if there’s nothing in the location, however close inspection reveals that Secret Spot Place. There are other Enemies that spawn in the area such as the Revenants and Bonewalkers. It seems quite tempting to take them out too but it is not recommended due to the overwhelming level gap. Apart from their durability, defeating them does not grant as much Exp in comparison to defeating the Entombed. When raising your desired character, choose an advantageous Weapon to take out the Entombed swiftly.